The evening will begin with a cocktail hour from 6:00pm-7:00pm in which each guest will receive two speciality Woodford cocktails to start the evening. Following cocktail hour is a 4-course meal carefully paired with a signature Woodford cocktail. 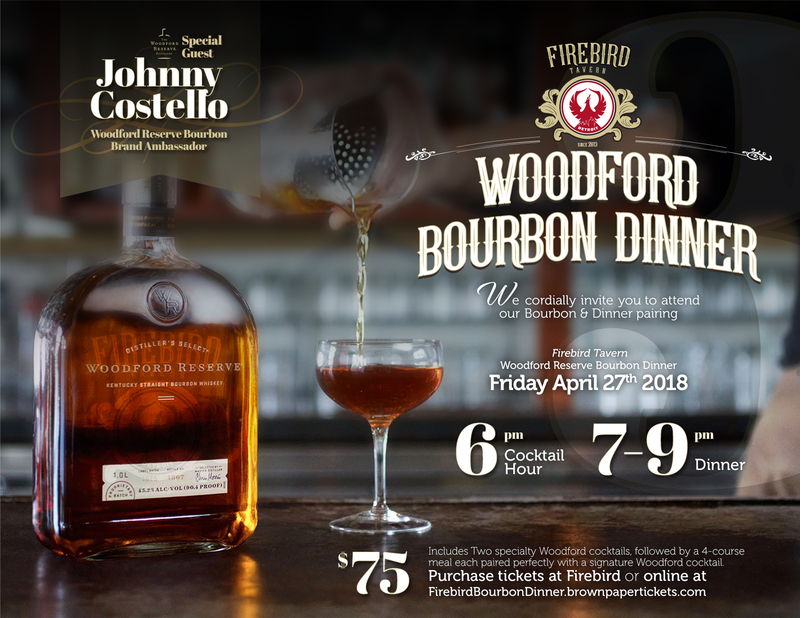 Johnny Costello, Woodford Reserve Bourbon Brand Ambassador, will be on hand to discuss the pairings and a bit about the Woodford brand itself. Copyright ©2016 - Firebird Tavern. Handcrafted in Detroit by 20th Cen.